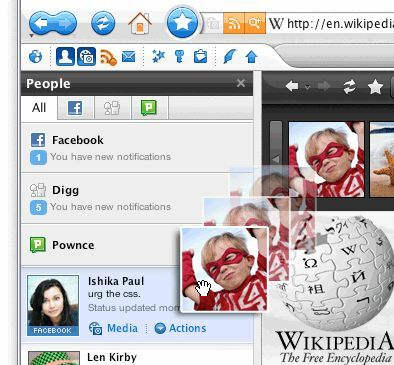 Flock is a social web browser based on Mozilla. 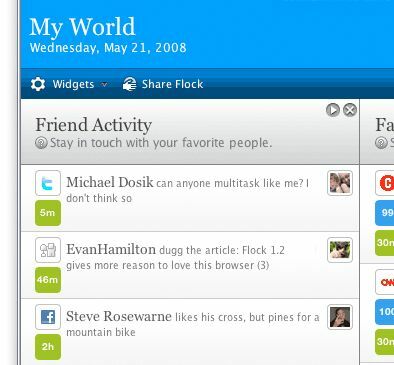 With Flock it's easy to keep in touch with your friends, share photos, write blogs, search videos and read news articles. 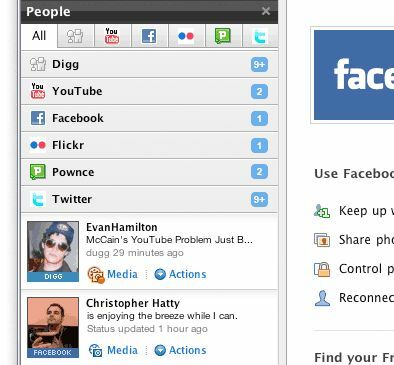 Supported social networks: Facebook, Flickr, YouTube, and Twitter. 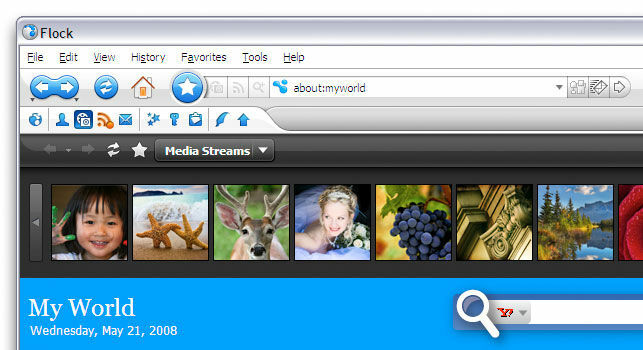 Supported photo services: Photobucket, Flickr, Facebook, Piczo and Picasa. AFAIK, alas and alack, Flock failed to survive the ongoing browser wars, once Google Chrome/Chromium entered the fray, and it is no more, nor is the late browsers last version being supported or forked by anyone...ala Seamonkey rising from the ashes of the late and lamented Mozilla Suite.